Your family of four will enjoy all of the space throughout this triple slide out Rockwood Signature Ultra Lite 8329SS travel trailer by Forest River. The combined kitchen and living area features an island with two bar stools. You can plan to enjoy your meals at the free-standing table with chairs, and after dinner come relax at the recliners along the rear wall. Within the roadside slide out there is a 60" hide-a-bed sofa and in the corner you will find an entertainment center with an optional fireplace. The front bedroom is a place where you will find rest and comfort. Here there is a Serta queen bed, and plenty of storage with the large wardrobe, plus you can add an optional TV. In the evening grab your camp chair, a blanket, and come enjoy the exterior fireplace plus more! The Forest River Rockwood Signature Ultra Lite travel trailers are anything but ordinary. You will love all of the space inside each model! Once you step inside you will find Driftwood cabinetry, solid wood and raised panel doors and drawers, plus LED lighting throughout. Outside there is a power awning with adjustable rain and dump, LED lights and a seamless one piece roof, plus more! Each model also includes a Standard Package which features the following an upgraded 22" gas oven, solid surface Corian kitchen countertops, outside speakers, and so much more! Why wait? Get your Rockwood Signature Ultra Lite travel trailer today! We are located in South Central Texas just a few hours north west of the valley and two hours from the Gulf Coast. 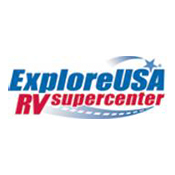 Our employees are RV'ers and have several years of experience working with travel trailers and 5th wheels. We offer a variety of manufacturers such as CARRIAGE, BIG COUNTRY, BIGHORN, CARRI-LITE, ROCKWOOD, ZINGER and more.